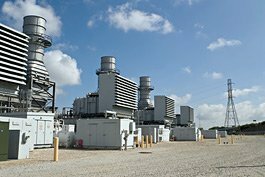 Critical electrical asset reliability is a cornerstone of the power generation and industry’s drive for safe and reliable plant operations. 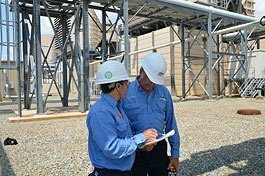 Whether nuclear, steam, hydro, combined cycle, simple cycle, diesel, renewable generation or industrial, rotating machinery condition assessment services from Doble provide a solid foundation for effective condition-based maintenance programs based on industry best practices. Doble is the trusted, independent rotating machinery condition assessment expert, providing on-line and off-line diagnostic service solutions to improve plant reliability, enhance operational performance and enable limited maintenance budgets to be targeted toward critical and/or problematic units. Design and manufacturing problems can cause premature equipment failure. To minimize that risk, Doble’s high-voltage laboratory offers a wide range of qualification and acceptance tests for medium-voltage and high-voltage rotating machines. Learn more about our lab services for rotating machines. Doble Power Services has assembled a team of experienced rotating machinery condition assessment engineers with expertise unmatched by any independent engineering company. Electromagnetic signature analysis was first applied to electric power applications over 30 years ago by James Timperley, Doble senior EMI test engineer. Lemke Diagnostics, acquired by Doble Engineering in 2008, has been at forefront of the development and utilization of partial discharge for more than 40 years and is actively involved in IEEE, IEC, CIGRE and other standards bodies.